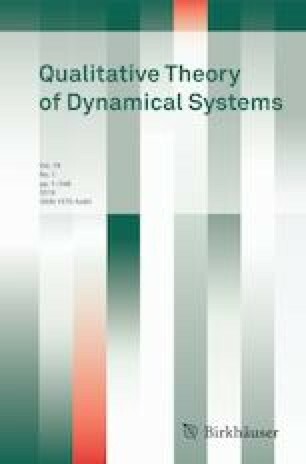 In this paper, we investigate the crossing limit cycles of a class of discontinuous planar piecewise linear dynamical systems with three regions of Y-type. We want to find the reason that cause the increase of the number of such limit cycles of the piecewise systems. We obtain the canonical form of such systems with focus–focus–focus type, and prove that the graph of Poincaré map of one of three subsystems has one inflection point. Naturally, we prove that the lower bound of the number of crossing limit cycles for this class systems is 3. We also give an example to simulate the four real crossing limit cycles. The first author is partially supported by NNSF of China Grant Number 11501193. The second author is supported by NNSF of China Grant Numbers 11431008 and 11771282, NSF of Shanghai Grant Number 15ZR1423700.